The San Francisco real estate market is in a league all to itself. For all intents and purposes, San Francisco real estate has taken the recovery and run with it, albeit at a blistering pace. In fact, The Golden Gate City has outpaced nearly every market in the country in terms of appreciation and value. It should come at no surprise that San Francisco real estate has appreciated nearly twice as fast as the national average. Real estate investing has, therefore, proven to be very lucrative in recent years, as the San Francisco real estate market should continue to pay major dividends for the foreseeable future. The median home price in San Francisco is $742,900, more than three times that of the national average. The difference in home values is expected to widen, as homes in San Francisco are appreciating at a rate of 10.1 percent. The national average, on the other hand, is 5.7 percent. Perhaps even more impressively: San Francisco real estate has appreciated 60.7 percent in a period of three years. Again, that is nearly twice the national average, which was still impressive at 28.2 percent. Homes purchased in the San Francisco housing market one year ago have appreciated, on average, by $78,588. The national average was $14,170 over the same period. Homes purchased in the San Francisco housing market three years ago have appreciated, on average, by $303,734. The national average was $53,857 over the same period. Homes purchased in the San Francisco housing market five years ago have appreciated, on average, by $233,369. The national average was $48,036 over the same period. Homes purchased in the San Francisco housing market seven years ago have appreciated, on average, by $36,788. The national average was $13,870 over the same period. Homes purchased in the San Francisco housing market nine years ago have appreciated, on average, by $115,425. The national average actually decreased $2,822 over the same period. 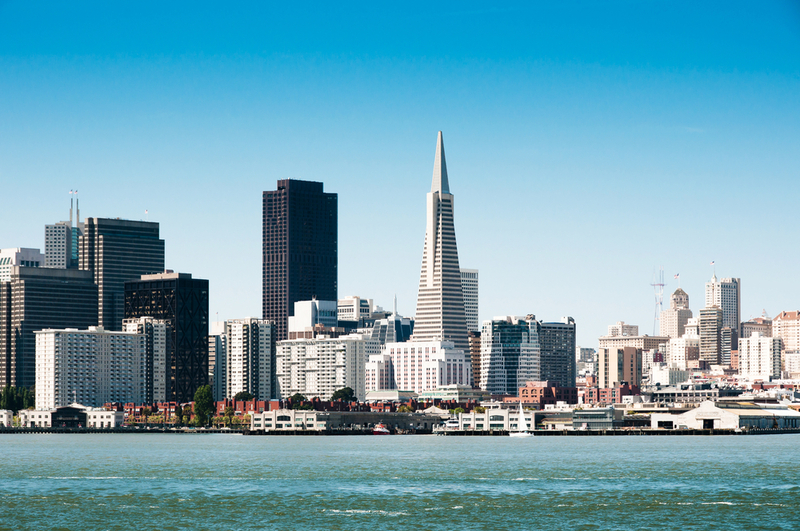 The San Francisco housing market is supported by equally impressive economic fundamentals. The job sector, in particular, will continue to support healthy supply and demand for the area. At 4.4 percent, the city’s unemployment rate is well below the national average. Perhaps even more importantly, unemployment appears to be in a position to decline further in the coming year. Job growth is expected to bolster the city’s economy as well. Over the last 12 months, the job growth rate surpassed 3 percent, more than a whole percentage point above the national average. There is no reason to suspect things won’t continue to trend in a progressive direction. There is one factor, however, that impedes the progress of San Francisco real estate: affordability. With appreciation rates topping 10 percent over the course of a year, San Francisco is less affordable than most other housing markets. In fact, affordability is becoming an issue for owners and San Francisco real estate investors alike. The average household across the country dedicates 15.1 percent of their monthly income to mortgage payments. However, it is normal for San Francisco real estate owners to spend 22.9 percent of their income on monthly mortgage payments. Those interested in San Francisco real estate investing will be happy to learn that distressed property discounts can offer a great return on investment (ROI). In fact, the median sales price of a non-distressed home was $1,050,000. The median sales price of a foreclosure home was $780,300, or 26 percent lower than non-distressed home sales. That is a discount of approximately $269,000. The amount investors save on foreclosures is more than the median home price across the country. The majority of foreclosures in the San Francisco housing market are considered to be pre-foreclosure, or at risk of being possessed because of the owner’s inability to pay an outstanding mortgage obligation. That said, 53.4 percent of San Francisco’s foreclosures are of the pre-foreclosure variety. Auction foreclosures make up the second largest group at 39.8 percent, up nearly 200 percent from the previous year. Down significantly from last year are the bank-owned foreclosures, making up just 6.8 percent of the distressed market. Only 3.3 percent of the homes in San Francisco have found themselves in a position of negative equity. That is considerably lower than the national average of 16.9 percent. Perhaps even more impressively, only 2 percent of owners in the area are delinquent on their mortgage. Of those that Trulia identified, Pacific Heights and Noe Valley are the most popular. However, San Francisco real estate investors may want to look outside the most popular neighborhoods. That said, both Inner Parkside and Hayes Valley have demonstrated an increased propensity for appreciation, with respective asking prices of $2,990,000 and $1,562,000. While price appreciation has caused concern over an impending bubble, it is important to remember that market fundamentals are considerably different than they were at the onset of the last recession. For all intents and purposes, San Francisco is a very healthy market with plenty of room for growth. According to Zillow, the San Francisco housing market very healthy – receiving a 9.7 out of 10 the Market Health Index.